With over 3 years of real estate experience, Steph worked in the Sales Department before making the move to Property Management. Proudly Geelong born and bred, Steph resides locally in the Northern Suburbs. 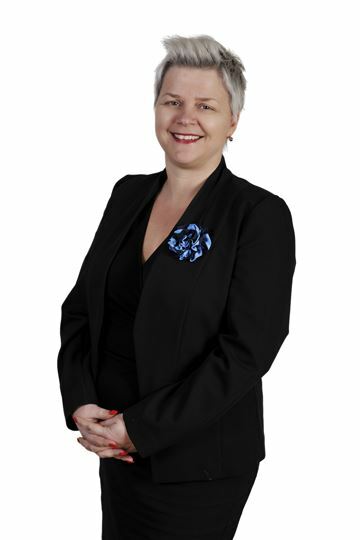 Stephanie spent 20 years at the State/CBA Bank, so her financial insight and organisational skills have given her a firm foundation for a role in real estate. Stephanie is a cake making extraordinaire and her exquisite treats are highly sought after in and outside of the office. Stephanie has worked at the old Corio Cinema selling popcorn, a deli, school canteens, a hospital kitchen and catering business. Her cooking skills are only matched by her people skills- an absolutely delightful person to be around. Having three teenage children, Stephanie does not have too much time to spare, but when she can she enjoys reading, movies & travelling.